NEW PRICE!!! OUTSTANDING VALUE IN THIS SOPHISTICATED HOME ON A LARGE 5.7 ACRE LOT. 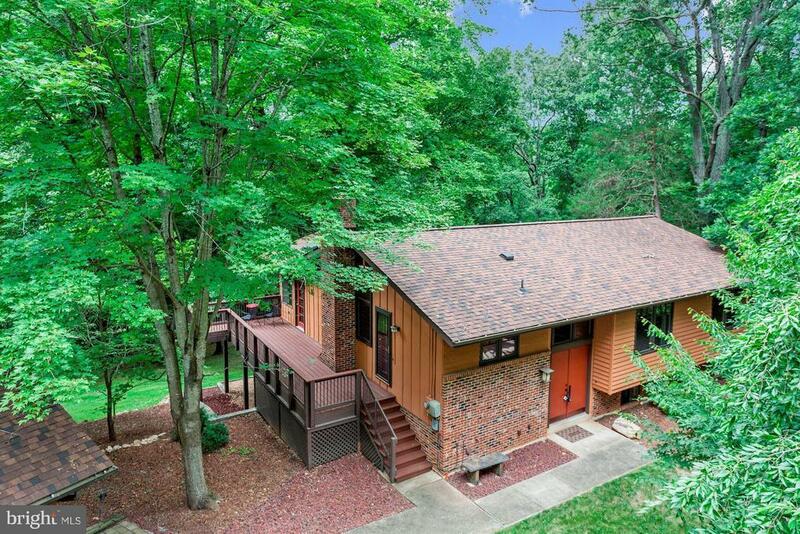 VERY PRIVATE WITH VIEWS OF WOODLANDS AND EXTENSIVE LANDSCAPING. HOME HAS CONTEMPORARY TOUCHES COMBINED WITH A WARM OLD-WORLD EUROPEAN FEEL. LOADS OF UPGRADES, INCLUDING HIGH-END PELLA WINDOWS. FRENCH COUNTRY KITCHEN. DETACHED 2 CAR GARAGE. GREAT DECK, SUNROOM, AND PATIO. EXCELLENT CUL-DE-SAC LOCATION. Directions: I66 W TO FRFX CTY PKWAY TO RT 123 SOUTH. R ON CHAPEL RD. L ON WOLF RUN SHOALS RD TO R ON HENDERSON RD TO R ON WOLF RUN LANE TO END OF CUL DE SAC.